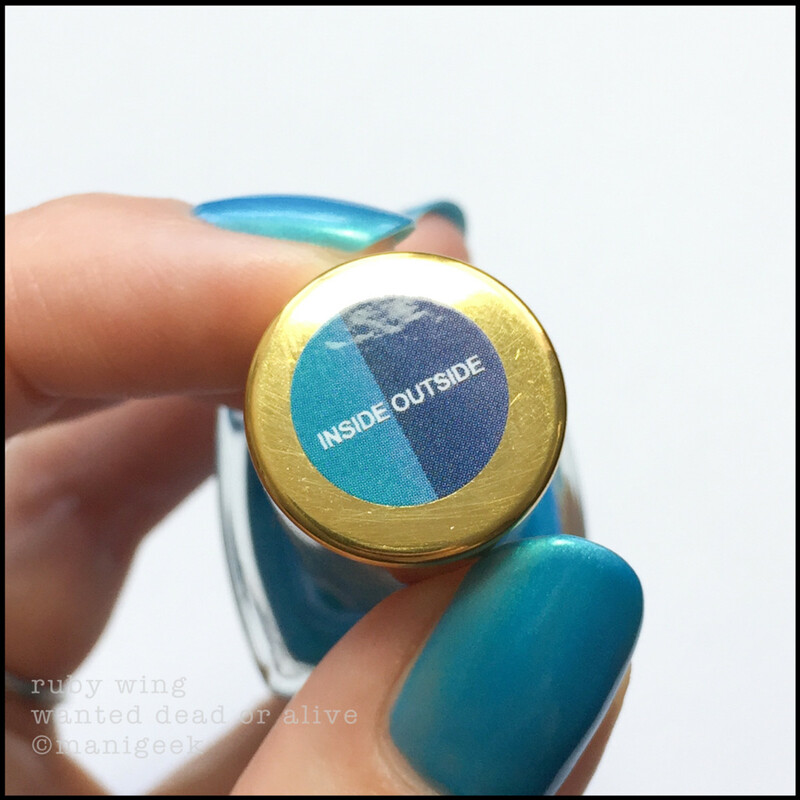 Another Winners nail-colour find has me feeling two kinds of blue – in a good way. Oh man. I went to Winners again. It’s not my fault – we talked about this, it’s in the Magic Mall. I needed to hit the drugstore for Kleenex (ugh, allergy season) and Winners is on the way out of the shopping centre. 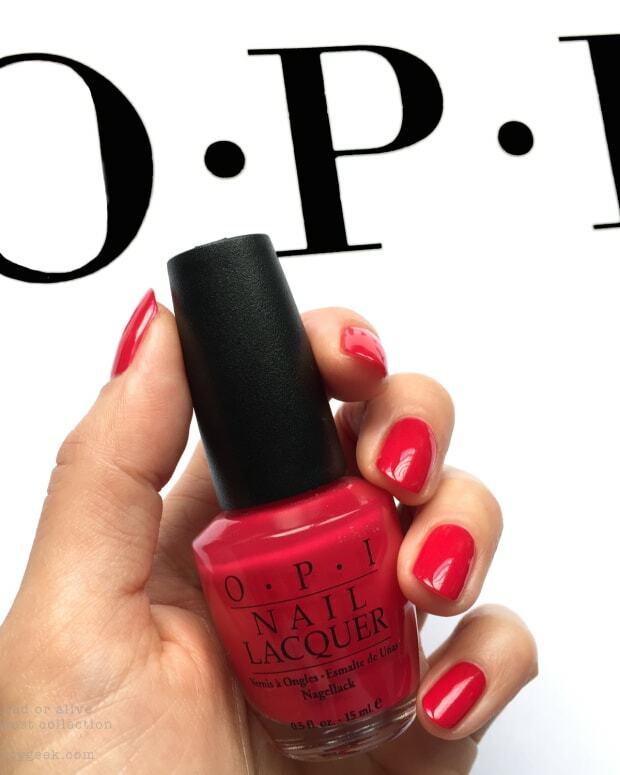 Besides, I promised a couple of you I’d check and see if they had more OPI Yokohama Mini Sets (sadly, no joy). See? It’s totally not my fault. Ruby Wing Wanted Dead or Alive - inside (above). I only bought one thing. Okay, two things, but one of them is a wire thingy to help me keep my tin foil, plastic wrap, and waxed paper all kinds of tidy in the cupboard. Here, let’s look at the polish because the food-wrap rack thing is boring. 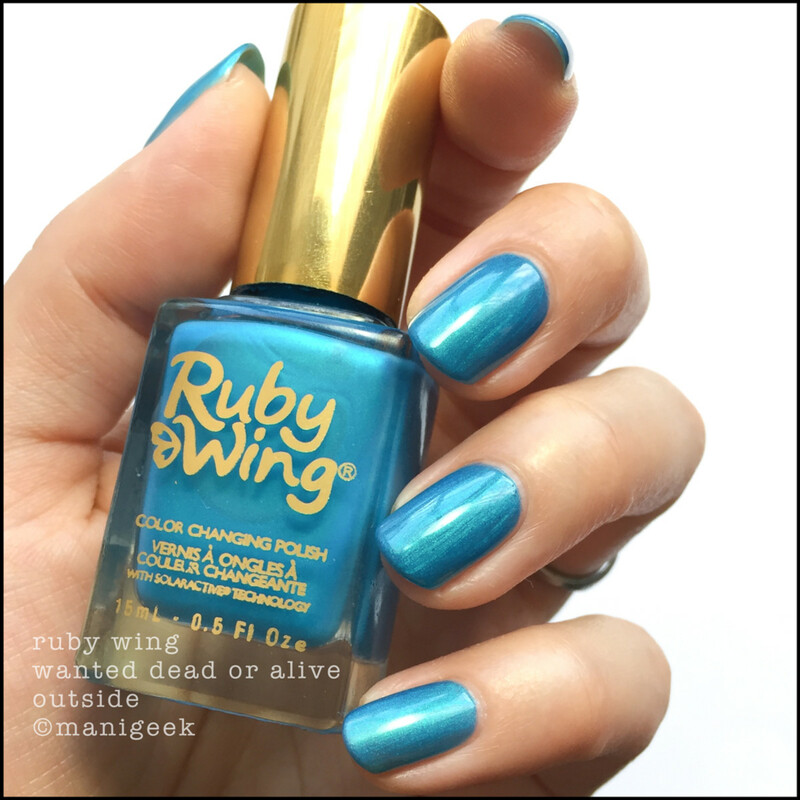 Ruby Wing Wanted Dead or Alive - the lid (above). Ruby Wing isn’t new. It’s been around for quite some time and I’ve had some of it go through my hands in days past. Who makes it? 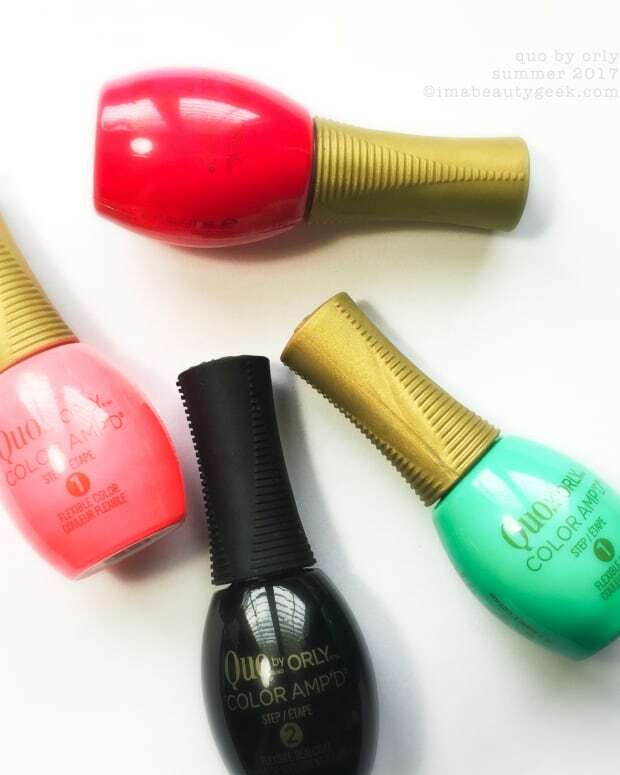 The same people who make Color Club and Funky Fingers. 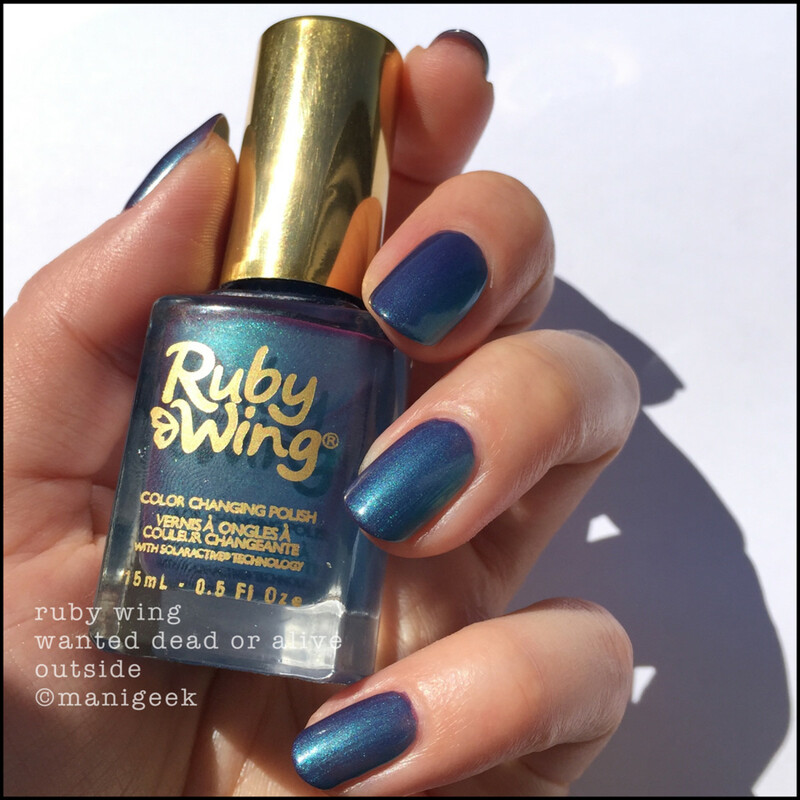 Ruby Wing Wanted Dead or Alive - starting to change outside (above). How’s the formula? Splendid. That’s 3 thin, oddly quick drying coats. Did I top coat? Nope. Is the change enough for me? Yep – but I shot this in the morning and it might be have a bigger change on a bright, sunlit afternoon. Would I buy more? For $3.99 at Winners? You betcha! Ruby Wing Wanted Dead or Alive - really outside (above). Holy toledo! This stuff is fun! Now it&apos;s noon and the sun is crazy bright! It changes insanely fast when exposed to direct sunlight. That means it changes back fast too! I just wanna keep sticking my hand in and out mah window! 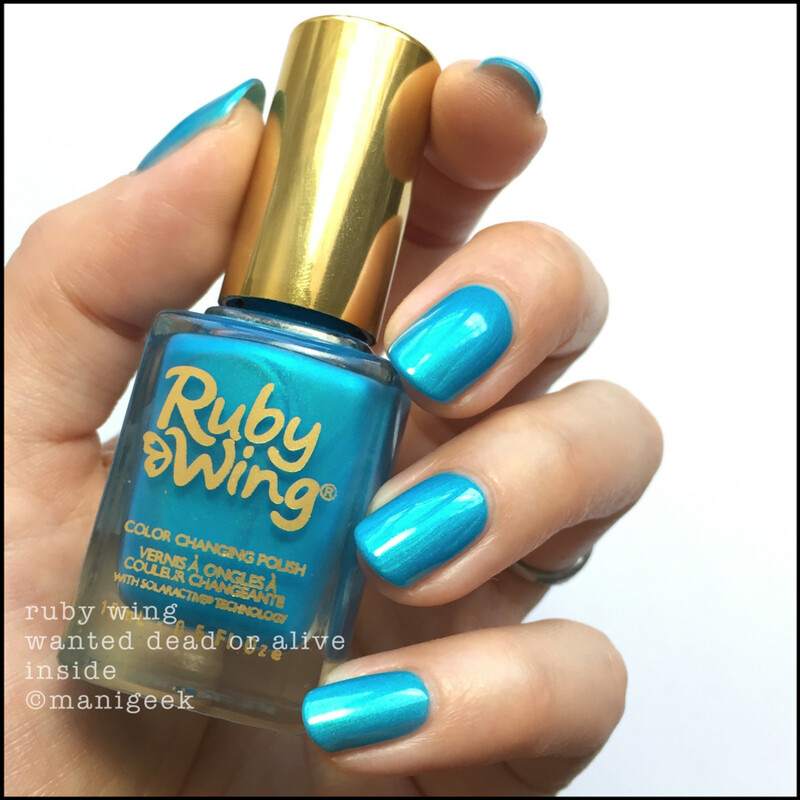 For more information on all things Ruby Wing, head on over to RubyWing.com or follow ‘em on The Instagram. If you’re lookin’ to buy, you can check amazon.com but it’s a little pricey all up in there. I say check your Winners/TJ/Marshalls stores first – I&apos;m gonna! 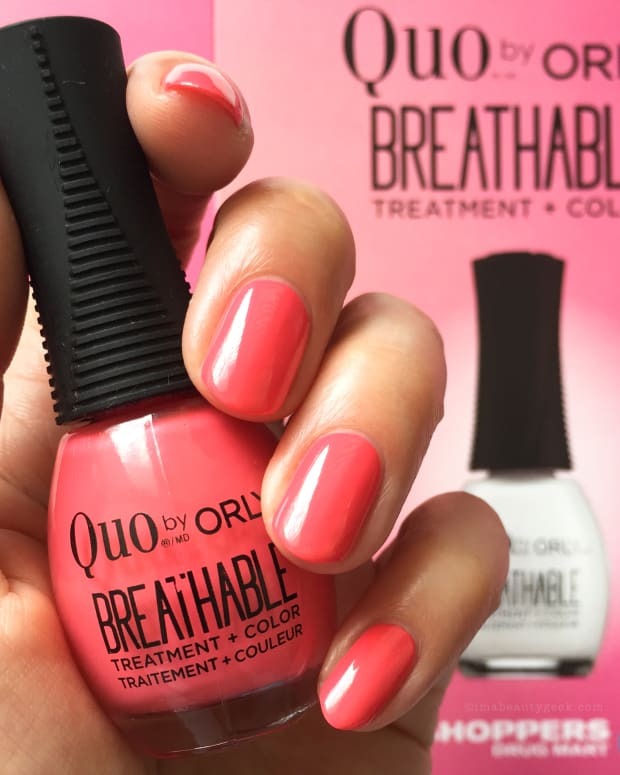 Happy weekend fellow nail nerds!